Before the Second World War, radiation protection had been a largely secondary concern of radiologists and radiological physicists. With the concentration of effort under the Manhattan Project it was soon realised that this would involve working with quantities and types of radiation and radioactive materials that had not previously been envisaged. As a result a distinct group of scientists within the project were assigned full time to what was termed "Health Physics". The first conference to review this new field was held at Ohio State University from June 13-15 1955. At the end of the Conference the US Atomic Energy Commission Fellowship Alumni voted overwhelmingly to form a professional Health Physics Society. By early 1959, with membership of over 1000, the Health Physics Society established "Sections" to provide a mechanism whereby countries could have their own sub-organisation. The first section to be formed was that of France in 1961 with Japan and the United Kingdom following in 1962 and 1963. The first meeting of the pro tempore Executive Council was held at Gatlinburg, Tennessee on 11-12 June 1964, with K Z Morgan as President. This meeting reviewed the articles of agreement and approved them unanimously. It also agreed that the name of the organization should be the International Radiation Protection Association (IRPA), developed the framework of a Constitution and specified the roles of the Executive Council and the General Assembly. 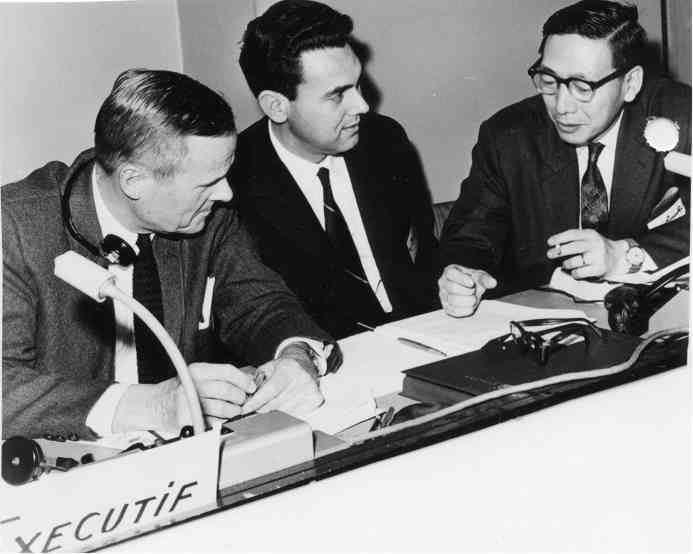 The Board and the pro tempore Executive Council decided to hold a pro tempore General Assembly, which took place from November 30 - December 3, 1964 in Paris, France. The meeting was hosted by what was then still the French Section of the HPS. The fifteen societies represented had between them 45 official delegates at this historic meeting, and six other countries had representatives. The delegates at this General Assembly adopted the constitution with emphasis on the primary objective of providing for the protection of man and his environment from the hazards caused by ionising radiation. They also decided to form a Provisional Executive Council empowered to declare the existence of IRPA as a working entity when it had accepted to Associate Society status at least four societies representing a minimum of 1000 members. 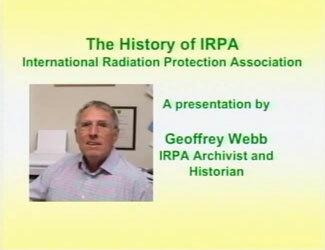 so, the formation date of IRPA was June 19, 1965. 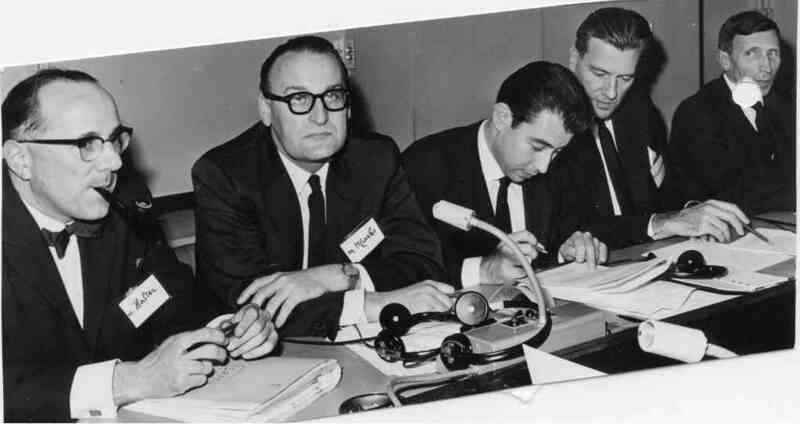 The first IRPA Congress was held in Rome from 5-10 September 1966. The President of the Congress was P Caldirola, who had been the Vice-President of the Provisional Executive Council. The Congress covered a very wide range of topics and set the scope for all subsequent Congresses in offering the opportunity for papers to be presented on essentially any aspect of radiation protection. 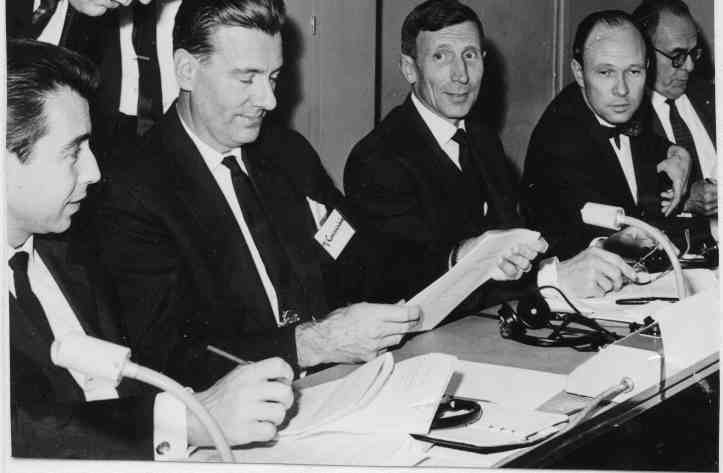 The first IRPA General Assembly was held during the Congress on Wednesday 7 September 1966. The minutes record that there were 15 societies represented by a total of 60 delegates. There were also the 23 members of the Provisional Executive Council making a total of 83 votes. The business of the Assembly was set out in the opening address by K Z Morgan. This included the certification of delegates, the declaration that a quorum was present, the seating of observers and other official participants, reception of a report on the proceedings and recommendations of the Provisional Executive Council relative to the conduct of business at General Assemblies, the adoption of the Constitution and rules of administrative procedure. The Assembly then proceeded with the election of the President; the venue for the Second Congress in the UK and hence the Vice-president for the Congress and the other officers and members of the first Executive Council. The Assembly also accepted the first budget and set the dues as one account unit ($1) for each member. Since then IRPA has held International Congresses approximately every four years in all corners of the globe as well as sponsoring a large number of regional congresses. The structure of the organisation has remained essentially unchanged with the General Assembly at each International Congress determining broad policy and electing the officers and members of the Executive Council. Paris, France, Dec. 2, 1964. 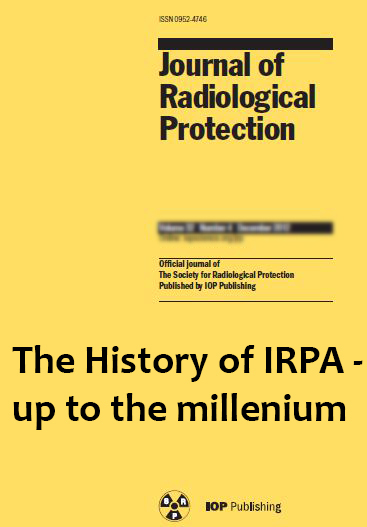 A paper entitled "The History of IRPA - up to the millennium" by the IRPA Archivist and historian, Geoffrey Webb, has been published in the Journal of Radiological Protection. J. Radiol. Prot. 31 (2011) 177-204. The summary presented above is based on a more complete version, also prepared by Geoffrey Webb. The full version, which includes a number of photographs and appendices with full details of Executive Council members and meetings etc, can be purchased as the book History of IRPA.